Learning for Life - Dave Stuart Jr. I have two answers to this question. First, teaching toward my students one day considering the learning in my class “Learning for Life” is not my objective. I try to be a grateful and reflective person, but I fail to remember much of what I learned in elementary school. Yet despite my like of consideration, I know that my elementary education — at school and at home — was a sufficient foundation upon which I was able to enjoy and succeed at a variety of learning endeavors in my secondary and post-secondary schooling. Being taught to read, to spell, to write, to memorize state capitals — I can't tell you all the names of who taught me what, but I can tell you that I owe them a debt. That was learning for life. Now, do I expect that my students will one day engage in that level of reflection so as to determine that, indeed, those Must Know Dates in World History class or reading all of those AoWs in English were learning for life? No — I don't expect it. That is not what I'm after. What I'm after, rather than my students one day thinking of my lessons as learning for life, is my lessons actually being learning for life for them. In other words, I want to promote their long-term flourishing — I need not be credited for contributing to it. And if that all sounds curmudgeonly, please forgive me. Sherer's question is the best kind of question: provocative, cause for reflection. But second, if you push me and ask, “Okay, so how are you giving your students ‘learning for life' in your courses?” then my answer is through building curriculum and instruction upon the three layers of the Foundations Framework. Figure 1: The Foundations (or “Non-Freaked Out”) Framework. I speak and lead workshops on this for teachers across the content areas, all around the country. 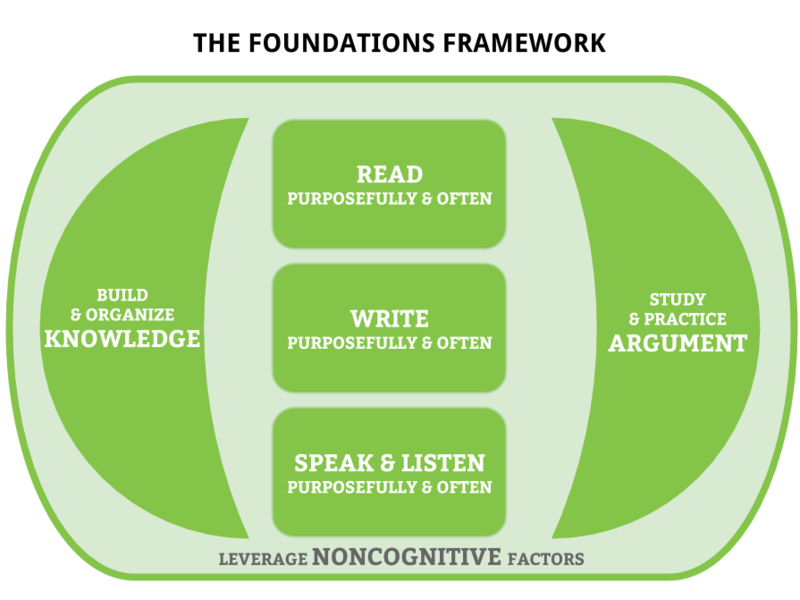 The noncognitive layer is the bedrock, and it's the most likely to impact students long-term. Knowledge — lots of it, organized and prioritized — and skillful thinking, particularly through argument: those are the basis of any coherent curriculum. And then a far-above-average quantity of purposeful reading, writing, speaking, and listening experiences — those are what lessons look like as we build the knowledge and practice the skills. This, I think, is what “learning for life” looks like across the content areas.